Let me begin by first congratulating you on taking the Presidency of the Security Council for the month of June.Â Thank you for holding todayâ€™s debate on Afghanistan.Â I welcome the presence of my good friend, Special Representative Kubis, among us here today. We thank you for your comprehensive briefing, and steadfast support for Afghanistan. Afghanistan is at a critical juncture. As foreign forces prepare to withdraw next year, Afghan national security forces are assuming full responsibility for the security and defense of their country. Two days ago in Kabul, a milestone was reached; the official launch of the 5th and final stage of security transition. This is a remarkable achievement; a source of pride for the Afghan people. Our security forces are handling complex security situations with increased confidence and fortitude. We stand ready to consolidate our gains, stand on our feet, defend ourselves, and secure lasting peace. Transition, in its entirety, aims to bring enduring peace and stability to Afghanistan. To ensure the security and defense of our country, it is essential to bring all Afghans together through a national dialogue, in a spirit of national unity, to achieve a political solution that is embraced by all. Yet, just two days ago, on the 18th of June, in a rather theatrical sequence of events, the Taliban office was inaugurated in a manner that contradicted the very principles to which I just referred. Furthermore, the public statement by the Taliban representatives in Doha not only lacked any clear commitment to peace talks with the Afghan High Peace Council – the sole body mandated to conduct peace talks – but also made an explicit reference to the continuation of violence. Again, this goes against the very spirit of peace. Â Given the concerns that have arisen, emanating from the obvious contradictions pertaining to our peace process, the Government of Afghanistan decided firstly: that the HPC would not engage in peace talks under the circumstances that the Taliban office was opened; and secondly: to suspend negotiations on the Bilateral Security Agreement with the United States. 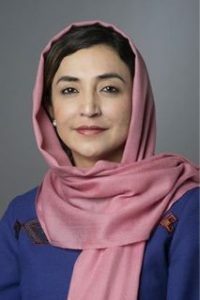 Â Afghanistan naturally expects its international partners to stand against any threat to the independence, sovereignty and territorial integrity of the country.Â In fact, all of Afghanistanâ€™s partnership agreements are made in light of Afghanistanâ€™s national interests, and aimed at promoting the countryâ€™s peace, security and stability. 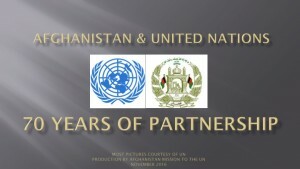 While Afghanistan is committed to a peace process and reconciliation that ensures a permanent end to the conflict, pursuing a process that will undermine the hard won gains of the past twelve years- our constitution, the rights of all citizens, particularly women, and our democratic order- will, by no means, be acceptable to the Afghan people. Afghanistan does not recognize such a thing as the â€œIslamic Emirate of Afghanistan.â€ Raising the Taliban flag on Tuesday in Doha was just a reminder of a dark and bloody past from which our country still struggles to emerge. The Islamic Republic of Afghanistan is the sole sovereign and legitimate authority chosen by Afghan people and recognized and supported by the international community. Further, Afghanistanâ€™s ownership of the peace and reconciliation process is indispensible, and it will not be compromised. Any successful outcome to the reconciliation process requires preserving the Afghan-led and Afghan-managed character of negotiations. This is an issue that has been recognized and endorsed, both in Afghanistan, and by the international community as a whole, including this distinguished Council. Taking this opportunity, I wish to also make clear to the international community, all member-states, and international and regional organizations, that the Taliban Office was established for one clear objective: peace talks that strictly observe agreed principles, as mentioned. Any other activity or function undertaken by or with the Taliban office outside the Afghan-led peace talksâ€™ purposes is unacceptable. The continuing campaign of fear and terror, violence and brutality endanger the prospect of a peace process. Recent weeks have seen an escalation in acts of violence, affecting all citizens â€“ men, women and children â€“ as well as international personnel. We condemn all heinous acts of terror, including the recent attacks on the IOM, ICRC, Kabul airport, and the Supreme Court. Children are increasingly bearing the brunt of the conflict. Last month in Kandahar, terrorists beheaded two children, as they were scrapping for food next to a local police checkpoint to take home to their families. Days earlier, in Paktika province, children died in a suicide bombing near their school. We also note with regret, continued civilian casualties caused by counter-terrorism operations. The loss of one innocent life is one too many. We condemn all incidents of civilian casualties, and call for their immediate end. Despite all the challenges we face, Afghanistan is confidently advancing forward towards another milestone: next yearâ€™s presidential and provincial council elections. President Karzai has embarked on a broad consultative process with relevant stakeholders, including civil society and political parties, with a clear aim to have the polls take place in a spirit of national unity, and with consensus on core-electoral issues. Afghans see successful elections as a new and important benchmark for progress, which will allow the country to embrace the needs of the post-2014 transformation decade. Preparations for the polls are well underway with voter registration and security preparations already started. The electoral law and draft Independent Electoral Commission law were adopted by the lower house of parliament, and are now under consideration by the upper house. We welcome the readiness of the United Nations and other partners to support Afghan-led elections, and we are confident that the elections will unify Afghans around a common objective. Afghanistan has always seen regional cooperation as an important pillar of stability and prosperity in our part of the world. A new regional order is emerging, increasing the prospects for a more peaceful and stable region.Â The Istanbul Process has become a catalyst for result-oriented cooperation in our wider region. We are encouraged by the strong commitment shown by all regional and international partners to this historic initiative. This was further exemplified by the 3rd Ministerial Meeting of the Heart of Asia Countries this past April in Almaty. We also thank the Government of China for its generosity in hosting the next Ministerial Meeting of the Process next year. Afghanistan is committed to expanding relations with all of our neighbors. Â We applaud our brothers and sisters in the Islamic Republics of Pakistan and Iran for their recent successful elections. The Government of Afghanistan looks forward to working with the new government of Pakistan, and hopes that Pakistan will sincerely support peace and stability in our country. Afghanistan desires friendly relations with Pakistan, characterized by mutual respect and observing each otherâ€™s national sovereignty. This is crucial to stability in Afghanistan and to prosperity and cooperation in the region. Without any doubt, Mr. President, terrorism constitutes a serious threat to Afghanistanâ€™s peace and stability, and that of the region.Â The people of Afghanistan are still the main victims of this heinous, continuous terrorist campaign. The fact remains: so long as terrorist sanctuaries continue to exist in Pakistanâ€™s soil and some elements continue to use terrorism as an instrument of foreign policy, peace will not prevail, neither in Afghanistan, nor in the region. We also are very concerned with ongoing border shelling; this constitutes a serious threat to Afghan sovereignty and the prospect of friendly relations between our two countries. We should not forget: Afghanistan and Pakistan, as two brotherly countries, have a shared stake in a successful fight against terrorism, and the prospect of peace and stability in Afghanistan and our region. We in Afghanistan know that long-term peace and prosperity is interlinked with development, good governance and human rights. The Tokyo Mutual Accountability Framework forms the basis for a revitalized partnership between Afghanistan and our international partners, addressing these key issues.Â Aid coherence, in partnership with the international community, is critical to our sustainable development.Â Mutual commitments made in Tokyo will be solidified during the transformation decade.Â We look forward, in this regard, to the July 3rd Senior Officials Meeting in Kabul. By the same token, empowerment of women as proactive members of Afghan society – as parliamentarians, as peace-builders, as government officials, and as the most vibrant members of civil society is among our proudest achievements. While obstacles to the full realization of this goal remain, we are working to protect and promote the human rights of all Afghans, women in particular. Afghanistan condemns, in the strongest terms, all incidents of violence against women.Â The fight against impunity is central to our human rights efforts. This is evidenced by the prosecution of an increasing number of perpetrators in various parts of the country. This moment marks an important page in Afghanistanâ€™s history- the security transition and the upcoming elections will mark major achievements for the future of our country.Â These achievements are the result of the diligent efforts that we have made over the past 12 years.Â We have come this far together, on a joint journey, founded on a shared commitment to the betterment of our country and for the benefit of current and future generations.Â Our mission is unfinished, but well on its way.Â Afghanistan has come a long way to even consider falling short of fulfilling the goals we set out in 2001.Â We have been, and we remain, steadfastly committed to building a peaceful, stable, prosperous and democratic Afghanistan.